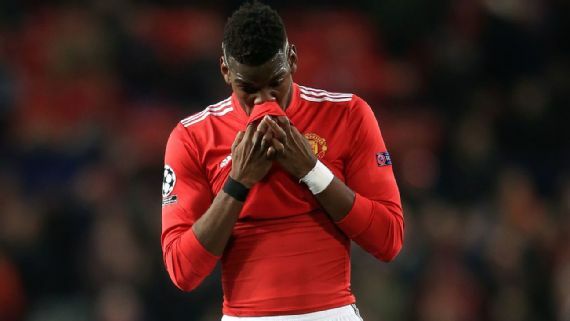 Manchester United midfielder, Paul Pogba has finally decided to remain at Old Trafford despite reports linking him with a move away from England. The Sun reports that Pogba is keen to discuss signing a new deal at the Theatre of Dreams after caretaker manager, Ole Gunnar Solskjaer revived his Manchester United career. Pogba was all but certain to leave the Red Devils at the end of the season had former Manchester United boss, Jose Mourinho remained in charge at the club. The France international was desperately unhappy under Mourinho and was pushing for a move to Barcelona last summer before Manchester United Executive-vice chairman, Ed Woodward made it clear that the 25-year-old would not be sold. The former Juventus star scored a goal in Manchester United’s 2-1 victory over Brighton in the Premier League over the weekend. Pogba will hope to lead Manchester United to victory when they tackle Burnley on Tuesday in the Premier League.